Flo Oy Wong, a Sunnyvale, California-based mixed media installation artist, is a visual storyteller who began her career at the age of forty. Born and raised in Oakland California’s Chinatown, Wong has received numerous awards for her work, including a 1995 President’s Award from the Women’s Caucus for Art, a 2002 Kearny Street Workshop (KSW) Award, and a 2001 Angel Island Immigration Station Foundation (AIISF) Award. The KSW and AIISF Awards were bestowed on Wong for her commitment and creativity in telling the stories of Angel Island detainees from 1910 – 1950 in the landmark exhibition entitled made in USA: Angel Island Shhh. In 2002, Wong received a California Civil Liberties Public Education Program Grant, in collaboration with the Japanese American Museum of San Jose, to create the exhibition entitled 1942: Luggage From Home To Camp, a project that uses the suitcase as a symbol of the internment experience. Wong has exhibited widely on a regional, national, and international basis. In California, she has shown at the Capp Street Project, de Young Memorial Museum, the Angel Island Immigration Station, the Chinese Culture Center (San Francisco), the San Francisco Public Library, the Oakland Museum, the Euphrat Museum of Art, the Triton Museum, San Jose State University, the Fresno Museum of Art, the Japanese American National Museum (Los Angeles), and the Pacific Asia Museum (Pasadena). She exhibited at the Japanese American Museum of San Jose and had a solo show in January 2004 at the Triton Museum of Art in Santa Clara, California. On a national level, Wong exhibited at the Ellis Island Immigration Museum, the Ethan Cohen Gallery in New York City and was included in the December 2003 online exhibition of New York’s International Center for Photography entitled Only Skin Deep, and at the Smithsonian Institution. IN 1995, she co-coordinated and showed in Tell Me a Story, a Women’s Caucus for Art women’s exhibition at the Fourth International Women’s Conference in Huairou, China. She has displayed her art at the United States Embassies in Lusaka, Zambia, and Copenhagen, Denmark. Wong has attended several residencies, including Headlands Center for the Arts, Djerassi Resident Artist Program, and Montalvo. She has also been a long-term teaching resident at the Artist Diversity Resident Program at the University of Nebraska, Lincoln. She has been a visiting artist at the University of Wisconsin-Madison, Old Dominion University in Norfolk, Virginia, and the University of Michigan. 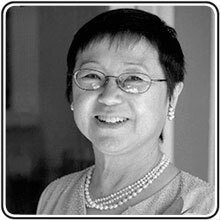 A co-founder of the Northern California-based Asian American Women Artists Association, Wong also served as a national board member for the Women’s Caucus for Art. She now serves as a board member and Grants Committee Chair for the Arts Council Silicon Valley. She also serves on the board of the Euphrat Museum of Art. Writings and images of Wong’s art have appeared in many news outlets and publications, including the San Francisco Chronicle, the San Jose Mercury News, Prairie Schooner, Yellow Light: The Flowering of Asian American Arts, Art Asia Pacific, Asian American Politics: Law, Participation, and Policy, Women Artists of the American West, the NewsHour with Jim Lehrer, and the San Francisco-based SPARK KQED television program.